Lower Elementary at First Christian Academy includes first, second and third grade students. At FCA, we believe in providing children with the highest level of academic excellence in a loving, Christian environment. Our foundation is built on strong Biblical principles and all grades enjoy daily Bible lessons, weekly Chapel sessions, and Spiritual Emphasis Week. All of our elementary classes utilize smart-boards in their daily lessons. The lessons are designed to encourage critical thinking and creativity. Dedicated teachers care deeply care about each of our students. In lower elementary the focus continues to be learning to be a good reader, growing in writing skills, and developing proficiency in math. The students will also learn to be critical thinkers and problem solvers and to mature in their ability to interact positively with each other. Our goal is for them to become life-long learners who enjoy learning new things and can confidently share their knowledge with others. Upper Elementary at First Christian Academy includes fourth, fifth and sixth grade students. 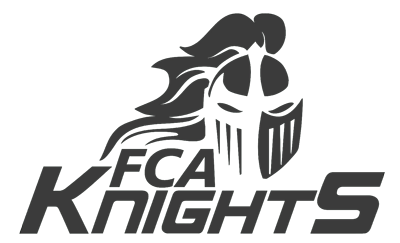 At FCA, we believe in providing children with the highest level of academic excellence in a loving, Christian environment. Our foundation is built on strong Biblical principles and all grades enjoy daily Bible lessons, weekly Chapel sessions, and Spiritual Emphasis Week. All of our elementary classes utilize smart-boards in their daily lessons. Dedicated teachers care deeply about each of our students. In Upper Elementary the focus is on preparing our students to become independent life-long learners who can gather information from their teachers, textbooks and reputable sources and process that information with godly discernment in order to grow educationally and spiritually. The students will continue to build skills in reading, spelling, math, and writing. Our goal is for the students to be critical thinkers and problem solvers and to mature in their ability to interact positively with adults and each other.